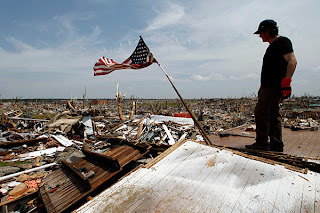 Due to the horrific tragedy in Joplin, my author events scheduled for next week in Carthage/Joplin have been cancelled. For those who were planning to attend, I apologize for the change in plans. We do intend to reschedule the events at a later date once the city starts to recuperate and rebuild. Joplin, MO is a place my family and I visit for our big shopping trips and is about 90 miles from our home. 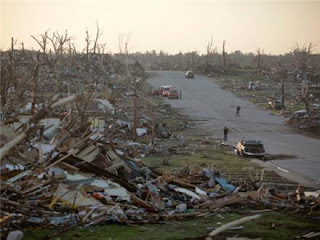 On Sunday, May 22, an EF-5 tornado hit the city of Joplin with 200 mph winds and destroyed 30% of the town. Within its path of destruction were St. John's Hospital, three schools, 8,000 homes, and hundreds of businesses including Home Depot and Walmart. After ten days of searching, the confirmed number of deaths is 134, although there are still many in critical condition. Learn how you can help at this special website, Rebuild Joplin. You can learn more specifics about the storm and its destruction at KOAM TV. 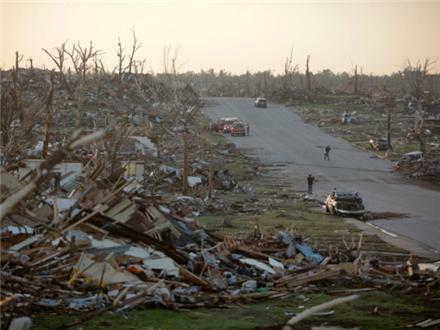 View pictures of the devastation here. And for those who were affected by this storm, our prayers are with you and your loved ones.